Rishis stood in the time of Yudhishthira. whilst his time precedes ours only by 525 years. have elapsed since the beginning of the Kaliyuga. presents the zodiacal signs and fractions of them, i.e. 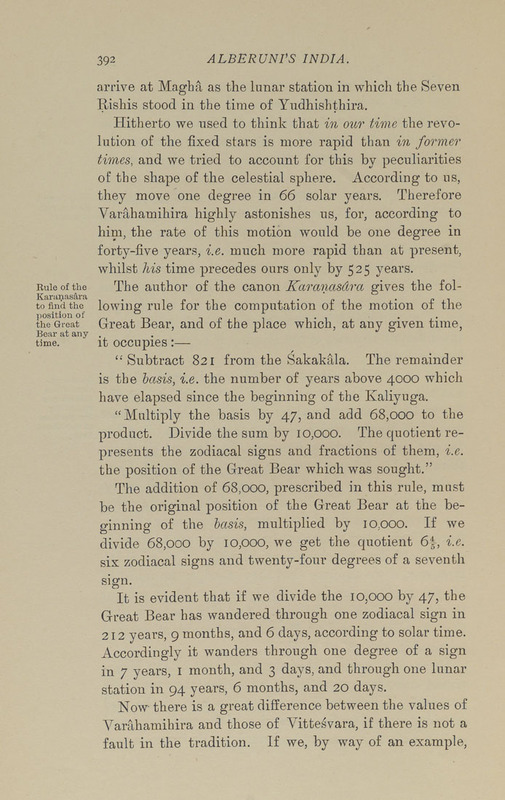 the position of the Great Bear which was sought." divide 68,000 by io,ooo, we get the quotient 64, i.e. 212 years, 9 months, and 6 days, according to solar time. station in 94 years, 6 months, and 20 days. fault in the tradition. If we, by way of an example.